Yeti Obhijaan Bengali Movie All Songs Lyrics: Yeti Obhijaan is a bengali adventure thriller film directed by Srijit Mukherjee under the banners of SVF Entertainment produced by Shrikant Mohta, Mahendra Soni. News about Yeti Obhijaan Bangla Movie Song Lyrics: This movie based on Pahar Churaye Aatonko from author Sunil Gangopadhyay's Bengali adventure series Kakababu. Yeti Obhijan is a most talked & awaited Kolkata Bengali movie sequel to Mishawr Rawhoshyo. 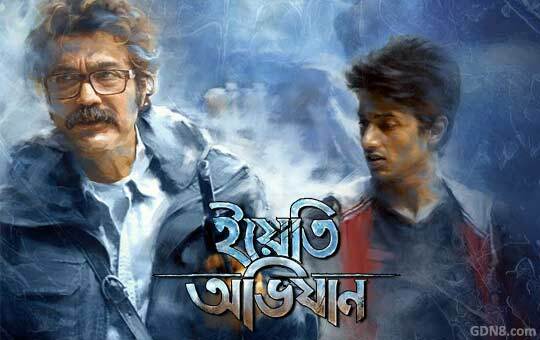 Prosenjit Chatterjee and Aryann Bhowmik in lead roles in this movie. Singers : Arijit Singh, Papon, Anupam Roy and Rupam Islam.